Wildlife rehabilitation is an organized field of animal care with many practitioners and professional partners working together on behalf of wildlife. If you would like more information about wildlife rehabilitation or becoming a rehabilitator, connect with WRAM, the Wildlife Rehabilitators Association of Massachusetts at http://www.wraminc.org. The Massachusetts Department of Fisheries and Wildlife is responsible for permitting all wildlife rehabilitators. 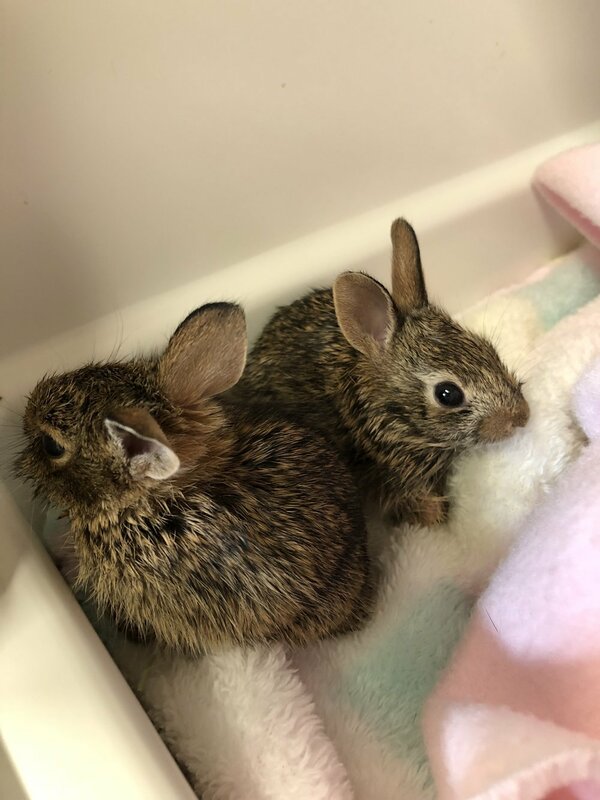 To find a list of rehabilitators and their locations in the state, please follow this link: https://www.mass.gov/wildlife-rehabilitation. If you find a wild animal in distress, contact a rehabilitator or participating veterinarian on that list for guidance about your next step. If no rehabilitator in your area is immediately available for advice, contact Tufts University’s Wildlife Clinic ( https://wildlife.tufts.edu) at 508-839-7918 to speak with a wildlife advocate. Your local town’s animal control officer may also be able to help. Those numbers are usually published on your town’s website. Every situation with wildlife is unique, so if you are unsure whether to intervene or not, make a call first for assistance. Below are some general guidelines. A soft release means supplying transitional food for an animal released into the wild until it can adequately forage for itself. Two common interventions which can actually hurt, not help! 1) Fledgling birds are those which have left the nest, learned to hop about, forage for food, but haven’t yet learned to fully fly. People mistake them for orphans when they see them on the ground or on deck railings with no mother around. This is a natural stage of their development. Mom is still nearby. Leave them alone unless they have gotten stuck in an awkward spot (basement well window, for example) and need assistance to get out. 2) Baby cottontail rabbits are left alone nearly all day by their mothers, who return only two or three times to nurse them. Their nests are often found inconveniently in low-lying pockets on suburban lawns. If the nest is intact and the babies seem healthy, leave them, as long as the nest is not in a lawn mower’s path. Rabbits have unique digestive systems, and always do best in the care of their mother. Any animal which has been bitten by a cat must be treated. Cat saliva carries a lethal bacteria. Even if the wound seems minor, the animal will need treatment immediately to survive. Any animal with an obvious wound or fracture needs pain medication and treatment. Any animal that is cold, wet, and shivering, OR is hot, exhibits mouth panting and is lethargic. These are signs of hypo and hyper thermia (danger shifts in body temperature) and must be treated. These symptoms are often seen in very young mammals and birds separated from their nest mates. Cold animals benefit from a heating pad under a blanket. Overheated animals should be kept in a shady, well-ventilated location until transport. Any baby animal, when it is clear that its mother is dead and/or other litter mates have died. A lone baby has no means of keeping warm or getting nutrition and will die quickly if unattended. A baby bird that is featherless (hatchling) or lightly feathered (nestling) that has fallen out of its nest. When able, try to put these babies back in the nest. Their best chance of survival is with their mother. If the nest is too high, hang a basket with fleece or toilet tissue (soft against its fragile skin) near the nest and place the baby in as long as the weather is good. Observe from a distance. If mom doesn’t return after an hour or two, the baby needs intervention and immediate warmth. Any animal that is in harm’s way. For instance, a baby in the path of a domestic pet like a dog or cat, or an animal that is on the roadway and is in danger of being hit by a car. Sometimes baby opossums fall off their mother’s back and end up in odd places. Their mothers do not stop to pick them back up, so a lone baby opossum is always in need of care. If you discover an animal whose needs warrant intervention, review the Quick Help tips. For help with an animal call (978) 820-0124.